﻿ Chanchalay Hip Hostel, Krabi | FROM $9 - SAVE ON AGODA! "The place is super clean and the decor is so fresh." Have a question for Chanchalay Hip Hostel? 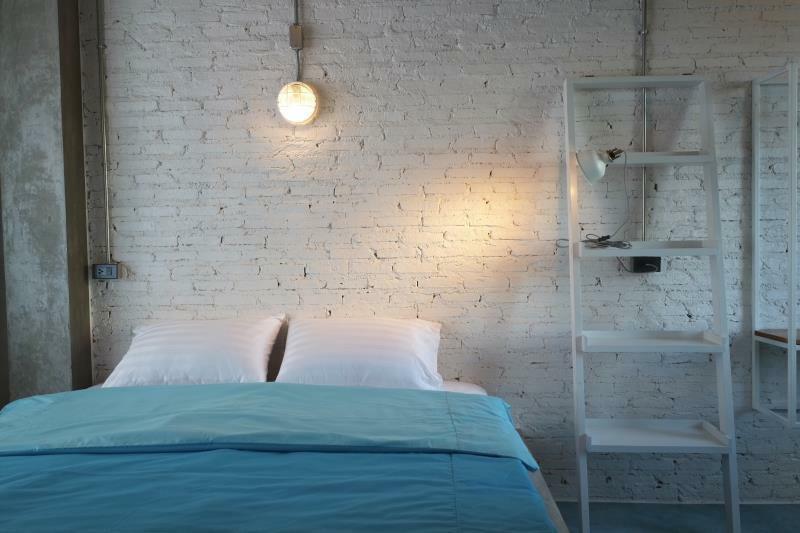 "Great location & walking distance to night market." "Good location, receptionist very nice"
"Beautiful decor and well appointed rooms." 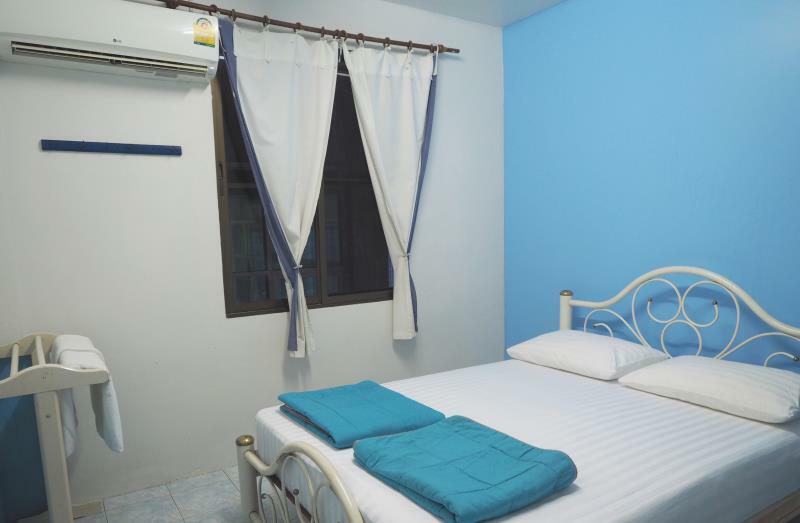 "Great location - close to markets, good cafes and the estuar..."
Designed for both business and leisure travel, Chanchalay Hip Hostel is ideally situated in Krabi Town; one of the city's most popular locales. From here, guests can enjoy easy access to all that the lively city has to offer. With its convenient location, the hotel offers easy access to the city's must-see destinations. At Chanchalay Hip Hostel, every effort is made to make guests feel comfortable. To do so, the hotel provides the best in services and amenities. A selection of top-class facilities such as free Wi-Fi in all rooms, 24-hour security, fireplace, taxi service, ticket service can be enjoyed at the hotel. In addition, all guestrooms feature a variety of comforts. Many rooms even provide television LCD/plasma screen, additional bathroom, additional toilet, clothes rack, mirror to please the most discerning guest. The hotel's garden are ideal places to relax and unwind after a busy day. Superb facilities and an excellent location make the Chanchalay Hip Hostel the perfect base from which to enjoy your stay in Krabi. "The stay was quiet comfortable." I would definitely come back to Chan Cha Lay if I ever visit Krabi again. The establishment is sophisticated and clean. Staff are very welcoming and helpful. It is easy to be impressed with Chan Cha Lay. We extended our stay in Krabi because it was too comfy to move to another hostel from CCL. The location is very good as family mart and motorcycle rental shop is just walking distance. The staff are not super friendly but it’s ok, at least still with smile on their face. But overall it was an enjoyable place to stay and cute interior. We had to extend our stay here as one of us fell ill with fever. The staff were very accommodating and asked us how we were often, and extended our stay with no hassle. The place is super clean and the decor is so fresh. Would definitely come back. Thank you Chanchalay for looking after us. Feeling much better now. I stay in Krabi town for 9days. Because I didn't have the idea what can I do in Krabi. If someone looking for Krabi trip. I recommend you to stay Krabi town for 2 or 3days(during the weekend for Krabi night market), and stay another night near Aonang beach. Chan Cha lay is a good hostel to stay in Krabi town :) Very good location, also staffs are very kind! Very convenient, clean and nice hotel.. close to main attractions in Krabi and a wonderful homemade breakfast. Personal is so friendly that make you feel really at home and help you qith any info you need. Thank you so much!!!! (-) The fan room can get a bit stuffy as there's only one window which doesn't let much air through. We wanted to book another night but the lady at reception said all the fan rooms were booked out and there were only expensive rooms available. So we just went online and booked the cheaper fan room again. That was a bit weird. The staff were very nice other than trying to up sell us on the room. (+) Great place to stay though. The showers were very nice and the shared bathrooms were very clean. There was a guard at night on the front gate which was good. There was a cafe in the hostel where you could sit and relax in. Surprisingly large, light, airy and pleasant room for the money. Within a few minutes walk of night market and other attractions of Krabi town. The only downside was noise from a nearby nightspot, but that's the price you pay for such a central location. All in all very happy with our choice, and would certainly stay there next time I am/we are in Krabi. Great and wonderful! Able to walk to krabi walking street, chao fah market and many more within 1km. Also if traveller want to take a ride to big C from (chan cha lay) can just go out turn left to family mart and wait for the red bus (usually wait 15 minutes and it will stop by ask you where to go) and Its only charge 50-60 baht per person. Besides, the staff there are very friendly! The interior is very modern and refreshing. Walking distance to the Walking Street Market. Only con is there are no kettle, cups, etc. in the room, only pantry nearby the reception but it isn’t 24 hour. Krabi was just a stop over and that would all it would ever be , too busy , noisy and western for me . But you can find a good massage and dinner in food market wa nice . This place is great for the super budget price . Pros: -Great value for money, no other hostels in the area looked as good for the same price. -The owner had taken a lot of care with the design and it showed. Matching colour themes and deco was a big change from the usual hostel mish-mash of everything. -Exceptionally clean, whole hostel looked freshly renovated. Very modern rooms with lots of spaces and a balcony! (Aircon deluxe room). 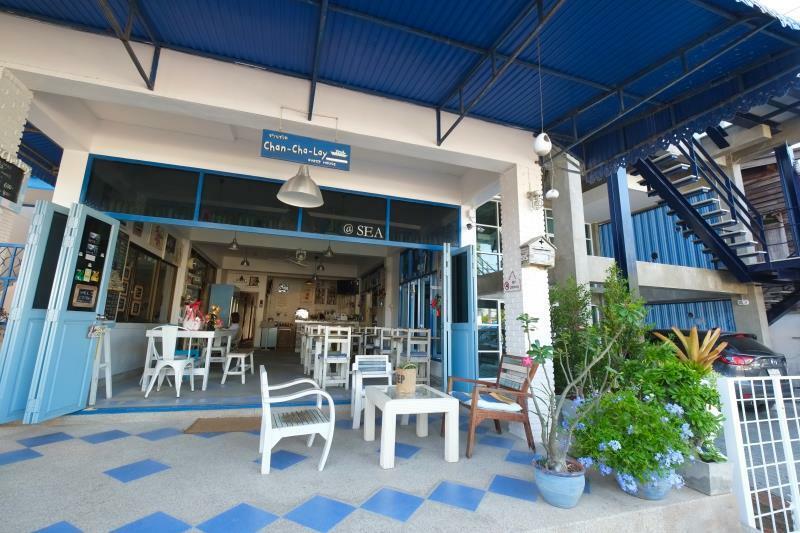 -Good Location in Krabi, near the street markets and a lot of restaurants. -Owner was really polite and professional and had lots of information about trips and taxis (can book at the hostel). -Breakfast menu was also quite good, not just toast and jams, but soups and salads and more. Cons: -You needed to ask for a new wifi code every morning. Bit annoying when you want to send off a quick message for meeting up first thing. Very impressed all in all! Hadn’t expected to get a good hostel as we were booking last minute, but we were lucky to have found them! I would recommend the hostel to anybody that is looking for an amazing place, looking for a good location in Krabi, great personal, clean places and most important - amazing rooms. Best place to stay, while visiting Krabi! 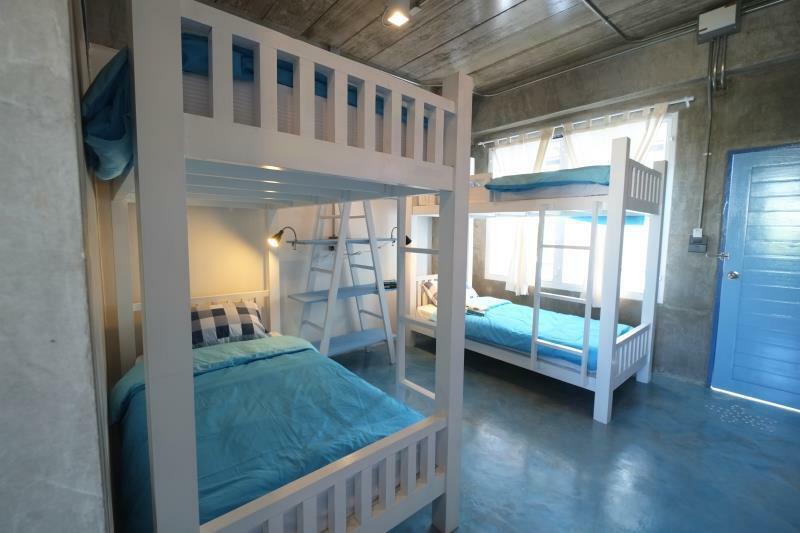 This is such a lovely hostel. 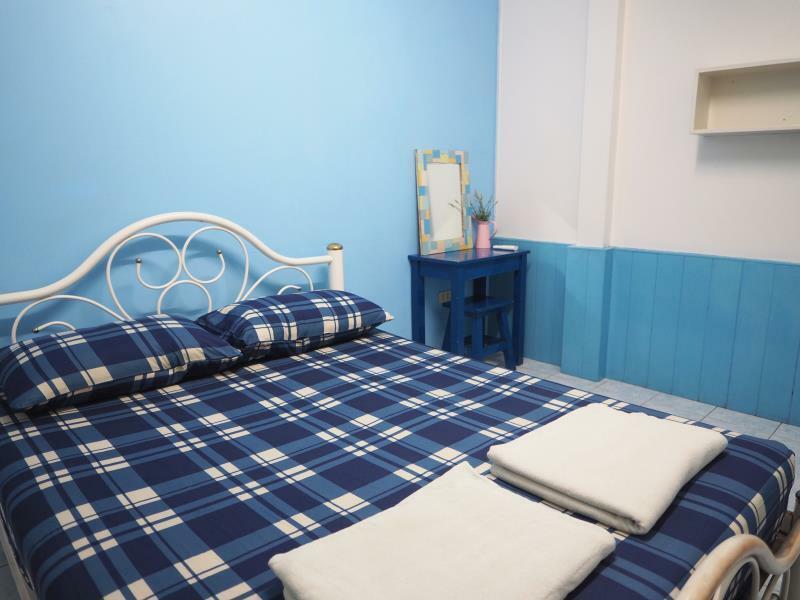 The decor is very much a Greek beachy vibe with friendly staff and clean rooms. The area is quite quiet but it’s in walking distance from the nigh market (2 mins away) and the walking market (5 mins away). The only thing I would say is that it can be a bit loud as it is by the street but that can’t be helped. I would definitely stay here again! The stay was quiet comfortable. The rooms are well kept and must admit that it deserves high rating as the rooms were really well kept. Best part which our family felt was the Open bathroom concept which was surprisingly different from normal ones. Thanks Agoda. The decor and quality of this place was just great. Super clean and comfortable that we ended up booking at least 3 more nights there. The neighboring building on the left had great motorbikes to rent for a good price and tours to book. The location was very central to street markets, shops, and food that were walking distance. Everyone from Krabi was so friendly and welcoming. We would definitely come back here! We had some doubts as we saw that the toilet was shared, but it was honestly one of the cleanest and better toilets we'd been in all our trip in Thailand. (we went in low season, don't know how it would be in high). The beds are comfy and clean. We had a really nice stay at the Chanchalay Hip Hostel. 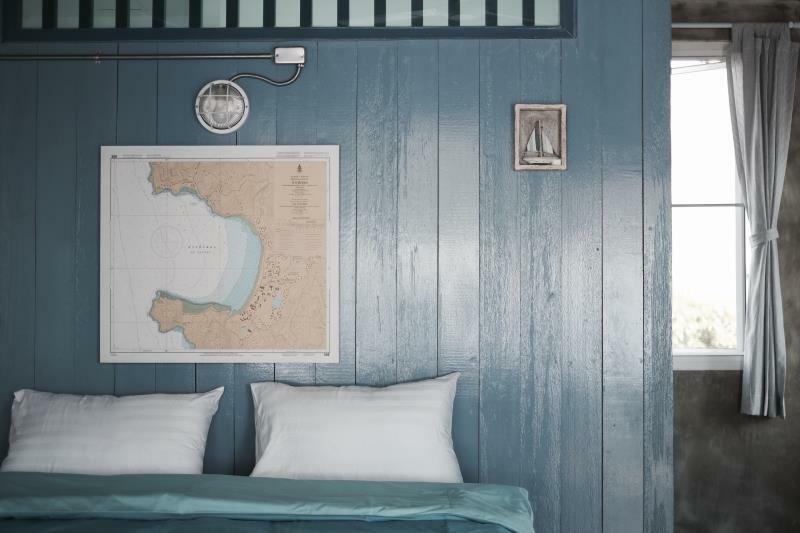 The staff was very friendly and helpful, the room furniture was very hip and comfortable and the location is perfect near the pier and the nightmarket. 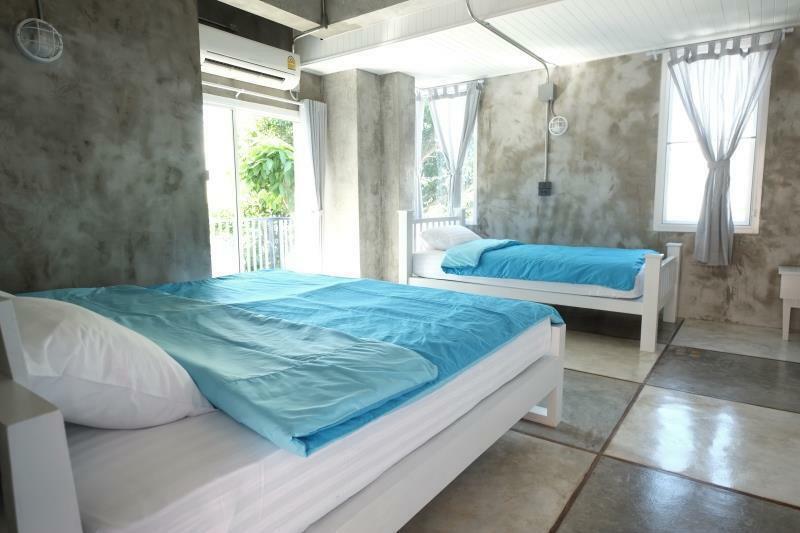 A lovely, clean hostel right in the heart of krabi. The owner was really welcoming and extremely knowledgeable of the local area. The rooms were big enough, had a nice mirror and good air conditioning. The toilets were shared, but whenever I used them they were really clean. We didn't have any food here but it looked like a lovely cafe too :) it is only a street away from the riverfront and 5 minutes from the local market!